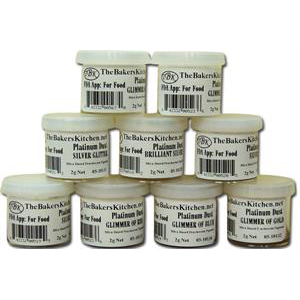 Platinum dust is used to give shimmery sheen & iridescence to gumpaste flowers or fondant with very little color. Platinum Dust has a slightly larger grain than Pearl Dust. 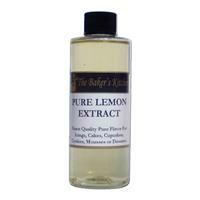 Either dry-brush on for very slight color and shine effect, or mix with an alcohol-based product such as pure lemon extract and paint on for stronger color results. All are non-toxic. 2 grams. The color chart above is designed to give you some idea of the color, depending on your internet connection and the quality of your monitor, the true colors may vary slightly from the chart.